"A few more boards and shingles, and Jeanette will have a Home". Greeting from the windy Southwest. Although the temperature seem to be climbing, the wind has be howling and throwing things around in angry fashion. We have had gusts this week in the afternoon approaching 50 miles and hour. Hopefully, things will settle down in April. 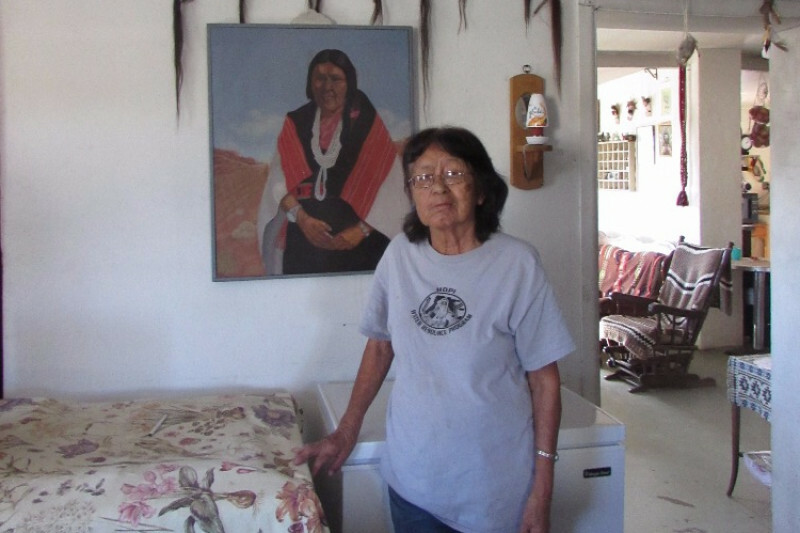 As you probably are aware, the Southwest Indian Foundation works with numerous indigenous peoples and Pueblos in the remote high desert areas of the Southwest, Although we work primarily with the Navajo people are closer, and because we are the largest tribe when and where possible we extend out to the smaller Pueblos and the Hopi villages. I had something of a desperate cry last from the Hopi Village of Shungopavi. Jeanette Sahneyah is a very kind sweet woman. There is a serious problem with her home. There is mold infestation and her roof is caving in. It is somewhat dire. She also has grandchildren under her roof she is trying to care for. The mold presents some serious potential health risks. Can and will we help? That was the question they we were asked. I looked at Jeanette and I just could not say No. 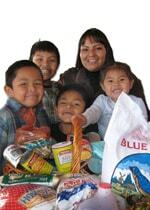 Other good people, and some of the Hopi people have raised over half of the $27,000 towards the restorations. If we could just come up with close to the balance, It would be a beautiful and wonderful thing. Sehneyah is a village up in a very remote mesa in Hopi land. Jeanette has no other place to go. Her children and grandchildren have no other recourse. Their family has inhabited this land for centuries. Let us pitch in and help our sister.